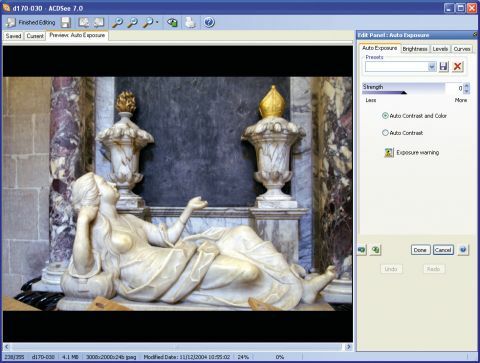 ACDSee 7.0 is a PC-only cataloguing and image-editing tool that's supplied in a bundled form with some digital cameras. You can use it as a folder browser with a standard directory tree, in a date-based calendar mode; add categories and ratings to images; and quickly display matching items. ACDSee is a powerful and versatile program. It's also complex and, with such a wealth of options, you may never have the patience or the concentration to absorb them properly. For example, you can organise images by keyword and category, but the online help never quite explains the differences and how or when you might use them.